When I decided it was time to leave Cusco, I had found 2 other solo travellers that would be my travel companions to Bolivia. Alek, a lovely Canadian that had been staying in the Kokopelli hostel for a few weeks as well, and Elle, an American girl of amazed us with her beer pong skillz in a bar. We asked her if she wanted to join us. 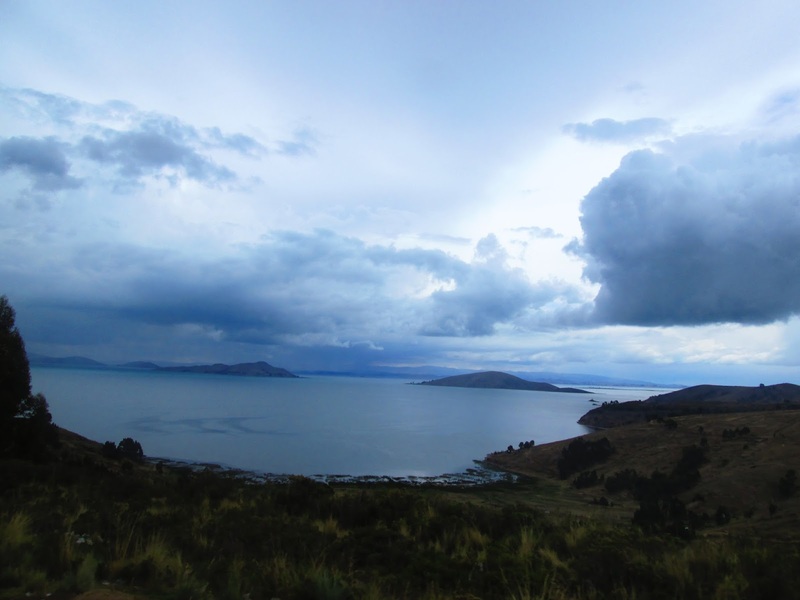 In going to Bolivia, we were going to stop at Copacabana to see the lake Titicaca, the highest located lake in the world. 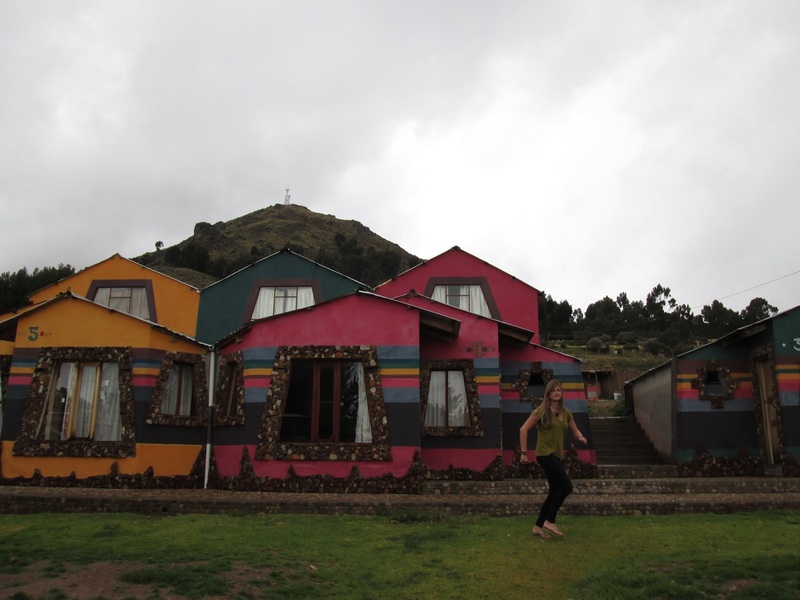 I had made the foolish mistake before leaving for South-America to buy this stupid bus pas that also included some activities and normally would have had to stop in Puno (still in Peru) to visit some touristy floating islands and indigenous people on the lake. I wasn’t really that interested, and neither were my companions so I didn’t want to force them to take it with me and pay, so I decided to skip it. I only got 35% of my money back when I didn’t do the trip and learned a very wise lesson to never EVER prepare in advance. You can get everything cheaper in South-America anyway since you don’t need all these middle-man companies that help you buy something all the way in Europe that is being offered 5 times cheaper in South-America. And you are not stuck with something that might have seemed like a good idea at the time, but isn’t entirely what you want once you’re there. We did go to an island on the lake from Copacabana, Isla del Sol, but it was supercheap to get there. We first spent the night in Copacabana in possibly the worst hostel we all had ever. EVER. been. With no running water, a disgusting kitchen, and hail pooring in at night and soaking half my backpack in the morning, we ran away as fast as we could in the morning without paying. (the “hostelowner” (aka the local sheep herder) agreed on us not paying when he saw the soaked room by the way). The only reason we had gone there in the first place was because it looked adorable, but it was far from comfortable. It was only one step better from sleeping outside, in that the rain didn’t directly hit our faces. 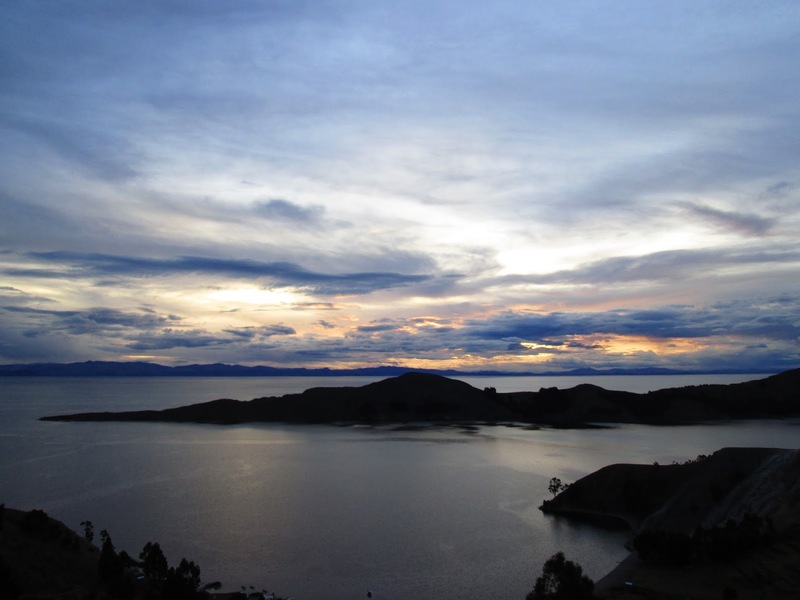 We took the first boat to the Isla del Sol, in Inca mythology the island where the sun was born. We took the boat to the northern part, to make our way on foot across the island to the southern part and spend the night there. The walk was rather rainy and uneventful,except for Elle getting spit on by a Llama and the locals being very unfriendly to our touristy selves, almost refusing our money when we tried to buy something. We drank some beers and enjoyed watching the sun set over the amazing lake. The lake Titicaca was incredibly beautiful, and had it not been for the bad weather and horrible accommodation, we would’ve probably enjoyed it more.